Work the lines of a skipjack under sail. Stand at the gunnels of a traditional deadrise fishing boat as she slices through early morning chop. Hoist in a day’s catch from an iconic pound net and witness the true bounty of Chesapeake Bay. A Chesapeake Bay Watermen’s Heritage Tour is a getaway like none other. Out on the water, you’ll see this global treasure in an entirely new light. You’ll taste her harvest on your tongue and into your soul. And you’ll build a lasting love for, and connection to, the men and women that still ply these waters as Marylanders have for centuries. And beyond the beauty of the Chesapeake Bay, you will get a real taste of the old salts who sail her waters. 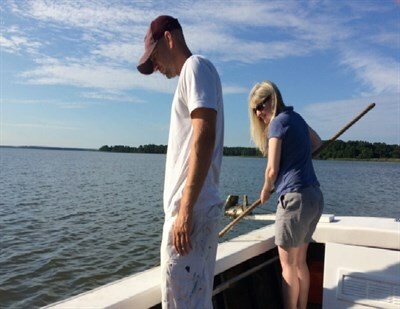 On a Chesapeake Bay Watermen’s Heritage Tour, you’ll work the lines with real oystermen. Pull crab pots with people who’ve been doing it for generations. You’ll taste the breeze, feel the salt, and learn the language of the Chesapeake. Just remember, the trained tour guides who are part of our program are fishermen first, and are often out on the water, limiting their time to return calls. So plan ahead and allow extra lead time when scheduling a tour to get out on the water. Want to be a waterman? 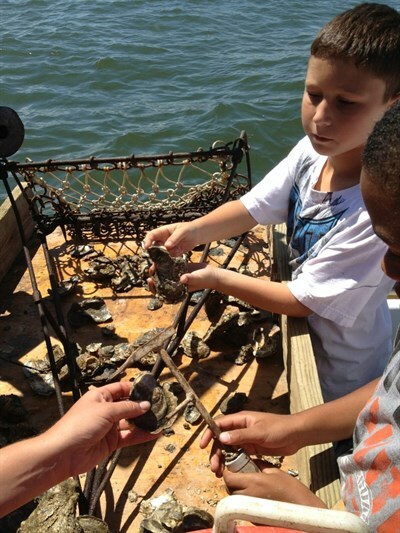 This hands-on cruise will have you livin' the waterman life as you tong for oysters, pull crab pots, and cull crabs in the Bay in Southern Maryland from Dameron with Captain Phil Langley. 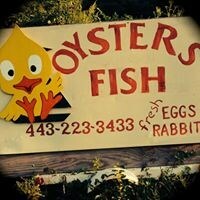 If you want to see Southern Maryland like a local, this trip is for you. 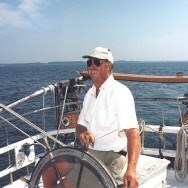 Captain Charlie has worked as a commercial fisherman and crabber most of his life. 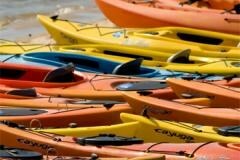 See a crabbing demonstration, kayak on the lower Patuxent River in Solomons, and tour an oyster seeding facility at Jefferson Patterson Park. He also guides a kayak trip on St. Leonard’s Creek where you can see wildlife, visit War of 1812 battle sites and stop for lunch at a local restaurant. Tours can be customized and are also available in French! Captains Loch Weems and Dan Baker draw on their deep family connections to Southern Maryland and the Chesapeake Bay to deliver history tours from Solomons Island onboard a 44-foot Chesapeake deadrise, a commercial crabbing boat. Their custom tours can be tailored to your interests to include seeing lighthouses of the Southern Bay, exploring the history of the War of 1812, discovering a historic steamboat line and farm, or simply relaxing on the water. Tours range from a 2-3 hour cruise to full-day charters and weekend packages. Join Captains Dale “Simon” Dean and Rachel Dean to experience the Chesapeake Bay through the eyes of a waterman and discover aquatic life in this valuable estuary. Observe and engage in a variety of methods to harvest blue crabs, finfish, and oysters on a working fishing vessel. Discover the challenges facing commercial watermen today as they strive to maintain their way of life and promote a healthy Chesapeake Bay. Simon and Rachel also own and operate Patuxent River Seafood, which harvests and sells seafood to local restaurants and markets. Experience a day working on the West and Rhode rivers with Captain John and Julie Van Alstine. In spring and summer, head out before sunrise for a trot-lining trip to catch your limit of blue crabs, then help Captain John pull his commercial crab pots. Take your catch with you. In fall and winter, try hand-tonging or patent-tonging for oysters and hear stories about the oyster industry and the last wild-harvest oyster fleets in the nation. Photo cruises, lighthouse tours and customized tours to other locations can be arranged. Enjoy an authentic Chesapeake Bay experience crabbing with Captain Brant Nordhoff. He will guide you from his dock at Grays Inn Creek in Rock Hall to the best crabbing spots in the Chester River where you will crab with a trotline the way watermen have done for years. Along the way, hear colorful stories about Maryland’s fishermen and women and Chesapeake Bay history and culture. Enjoy a relaxing, educational, and unforgettable sailing tour on Chesapeake Bay waters on the historic skipjack H.M. Krentz out of St. Michaels. Captain Ed Farley can arrange for catered picnics, cocktails and hors d’oeuvres, or you can bring your own refreshments. Head out from Tilghman Island, a scenic and historic watermen community, to try crab trotlining in Harris Creek and the Choptank River. Hear tales about Chesapeake Bay heritage from Captain Wade Murphy. Each charter will collect a bushel of crabs to take home or have steamed. If you’re looking for a relaxing excursion, Captain Murphy provides sailing cruises on a skipjack, a historic oystering vessel. Take a tour from Knapp's Narrows Marina on Tilghman Island to try your hand at pulling crab pots and trotlines, while hearing about Captain Keith Rupp’s 30 years of experience as a watermen, starting with his first job oystering on a skipjack. 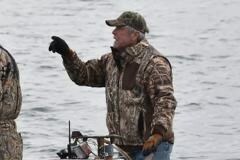 His specialty is charter fishing. Check out the fishing and crabbing gear used by commercial watermen and ride around Poplar Island to learn about Bay restoration. 10 Captain Grant Corbin, Sr. Spend a day with Captain Corbin and get a peek inside the life of a third-generation Chesapeake Bay waterman’s family from Deal Island. Discover the ins and outs of the soft shell crab industry—how to shed them, clean them, and wrap them up for sale, then pick a few to take home for dinner. 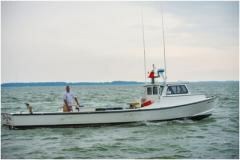 Head out on the water on the Lady Ellen to pull, dump, and bait crab pots and collect crabs. At the end of the day you’ll head home with your catch to share with your friends. Captain Corbin also offers overnight trips to Smith Island. More about Captain Grant Corbin Sr.
Maryland offers a wide variety of archery and shooting sports. Get hooked on fishing at these great tournaments across the state. With so much variety so close together, Maryland can leave every fisherman's bucket list empty and their take-home bucket full. 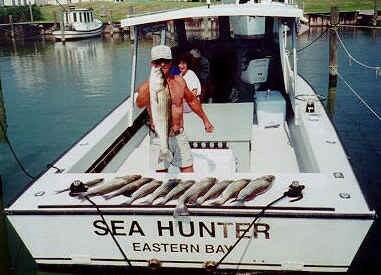 Find business listings for marinas in Maryland, fishing charter tour operators and more.